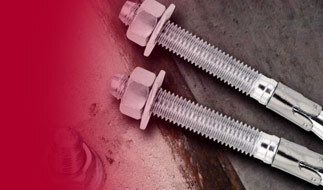 Irya Fasteners brings to you a wide range of mechanical fasteners that attach an object to a support structure commonly known as Anchor Fasteners, Toggle Bolts, and Screw-Bolt Fastening Systems. Irya Fasteners manufactures Anchor Fasteners as per its proprietary standards. All our anchor fasteners are durable, corrosion resistant, and able to withstand high temperatures and diverse mediums.